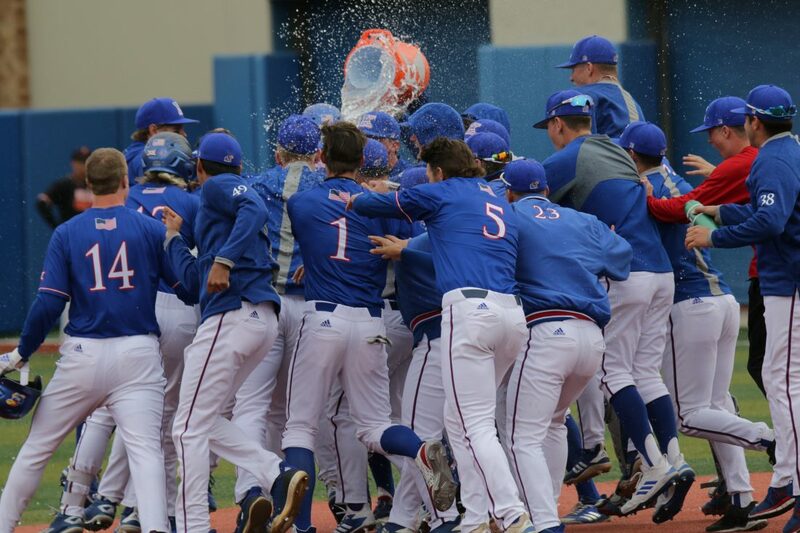 Kansas redshirt freshman Dylan Ditzenberger is showered with water after hitting the game winning single in the bottom of the ninth against Oklahoma State at Hoglund Ballpark, April 13, 2019. Shinkle reached first for his second hit of the year to lead off the inning, making his way to third the next at bat as Brett Vosik doubled. 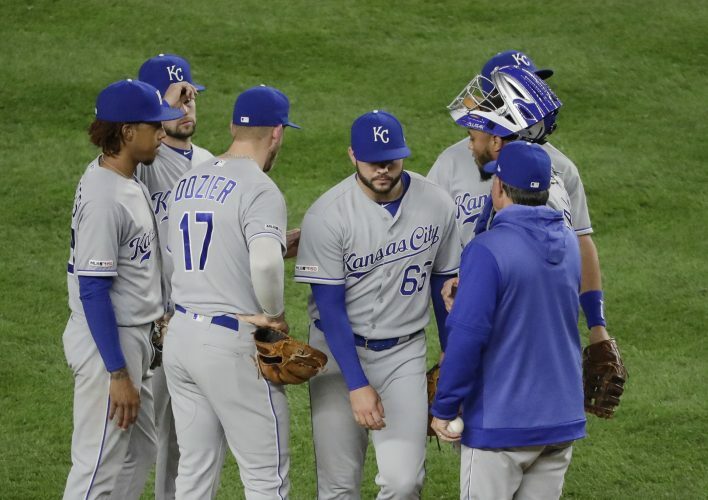 Ditzenberger returned to the plate needing a simple fly ball to send Shinkle home, then singled down the first base line to give himself both a Gatorade bath and a 5-4 win.